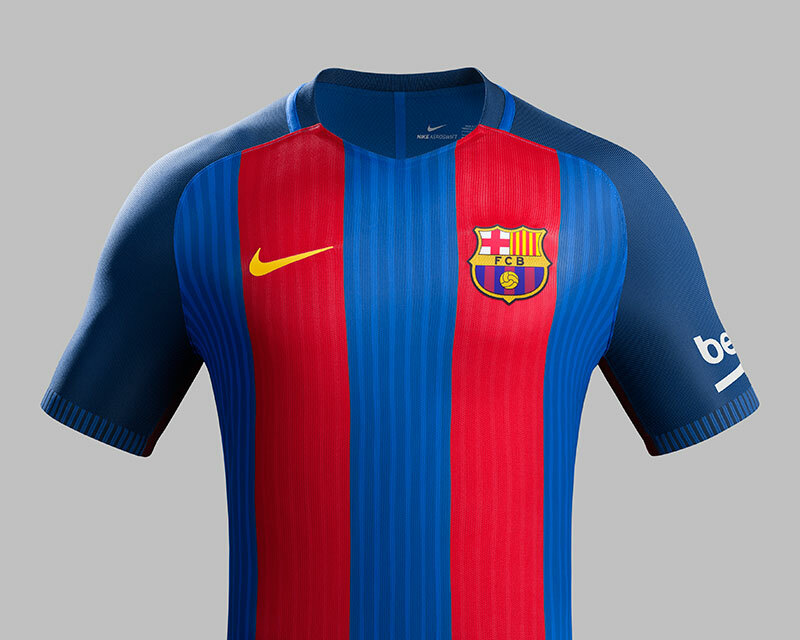 Nike and FC Barcelona have unveiled the shirt that Catalan giants will be wearing for the upcoming 2016-17 season. 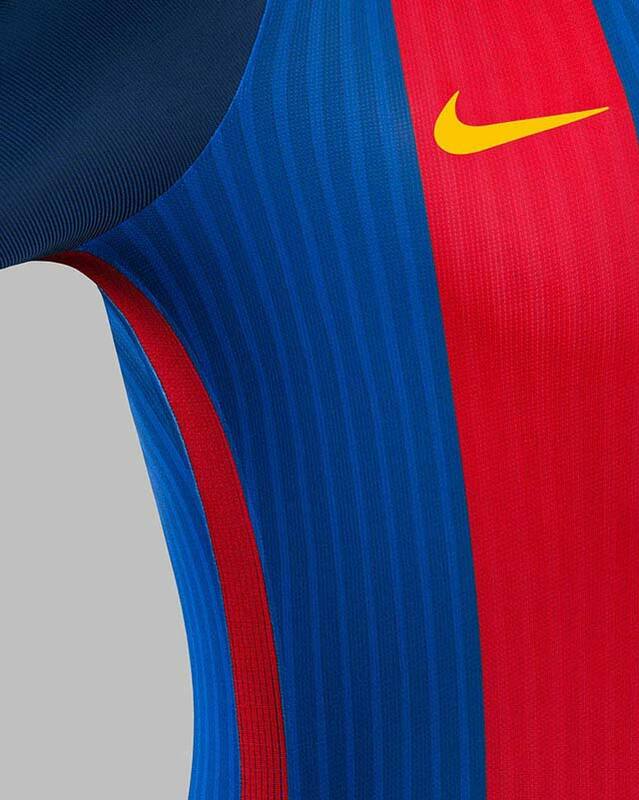 FC Barcelona’s new Nike home kit teams innovation with design details that honour the 25th anniversary of the club’s triumphant 1991-92 European campaign. 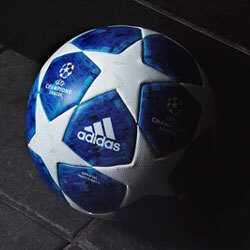 As the team’s captain Andres Iniesta explains, “At FC Barcelona, we believe in attacking and fast football. This new kit feels light and comfortable — it’s an expression of both our heritage and our future." Odes to club pride appear on both the interior and exterior of the shirt. “Barca” is knitted into the back collar alongside a small woven Catalan flag, the Senyera, which FC Barcelona fans recreated with large yellow and red cards in the stands on the night of the club’s 1992 European victory. “Un Crit’” and “Valen,” which together mean “Our Cry is Bold” in Catalan, adorn the inside right and left cuffs, respectively. 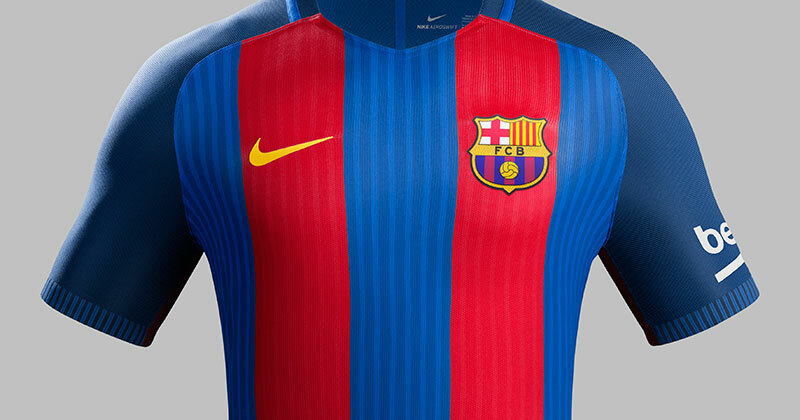 The phrase draws from the club’s official fan anthem “Cant del Barca,” customarily sung prior to kick-off, while the shirt’s font takes inspiration from the curves of the city’s iconic architecture. 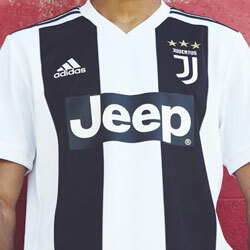 The new shirt features no sponsor on the front, something that has been wanted by fans. However, is not for the lack of trying but as a result of failing to reach a new deal with Qatar Airways. 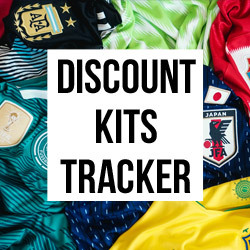 The sides of the kit feature a red stripe detail that runs the length of the shirt and classic FC Barcelona blue shorts. The stripe expands when the player is in motion providing greater ventilation and revealing bold flashes of blue underneath. 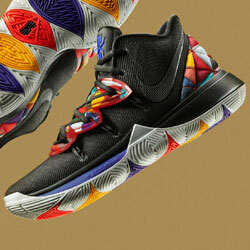 The new home socks are blue with a distinctive red linear graphic on the calf. 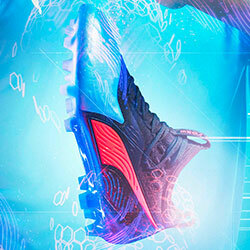 The kit also features an alternate pair of red socks with a blue linear graphic. 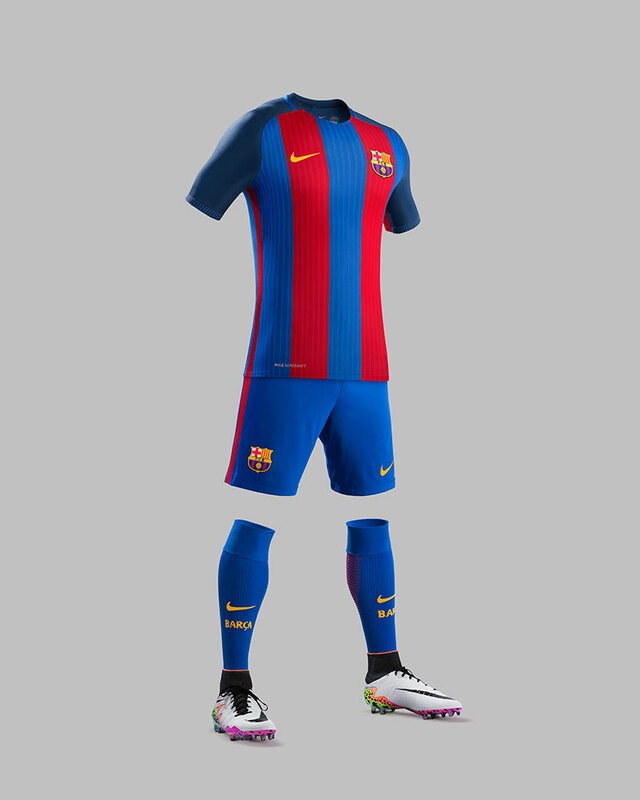 The FC Barcelona home kit is available now! What do you think of the kit? Let us know in the comments below! Make sure you follow us on Facebook, Twitter, Instagram and YouTube! Featuring an updated take on the Blaugrana stripes, Nike have released the new home kit for FC Barcelona for the 17/18 season.